ML&S are the biggest supplier of Kenwood Communications Ham Products in Europe - we always have stock of the TS-990S. Please call 0345 2300 599 to discuss your a deal for this flagship transceiver. Download the manual in English and other languagues click on this link and specify the radio model. The debut of the TS-900 in 1973 established the magnificent tradition of KENWOOD flagship HF transceivers, designed for DX’ers with exacting requirements for long-range high-performance Amateur Radio communications. Successor series have been the TS-930, TS-940, and TS-950. �@�@Continuing this tradition, the new TS-990 is equipped with dual receivers to enable simultaneous reception on two different bands. The main receiver employs full down conversion and features a new mixer and narrow-band roofing filters, resulting in a third-order intercept point of +40dBm; this represents the highest level of RX performance. 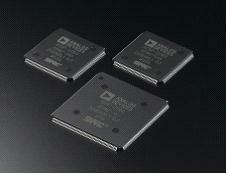 Also equipped are triple 32-bit floating point DSPs and an original IF AGC circuit featuring leading-edge DSP technology. Advanced KENWOOD technologies deliver the top-end RX performance that DX’ers are looking for in an HF transceiver. Moreover, 50V MOSFETs are used for the final amp, ensuring stable high-output operation with minimal distortion, even at 200W RF output power. All this and more: the world’s first*1 dual TFT display – with a band scope, audio scope, and S meter – offers enhanced visibility and operating ease. *1 World’s first transceiver with dual TFT display (JVCKENWOOD data, as of January 8, 2013) to be launched in late February 2013. The main receiver of the TS-990 employs down conversion for the first IF (8.248MHz) for all Amateur bands. This results in excellent dynamic range when adjacent unwanted signals are present – significantly better than what was possible with the up-conversion approach previously used. Even when the interfering signal is on an adjacent frequency, the TS-990 is able to maintain almost flat dynamic range characteristics, capturing just the target signal. As well as employing down conversion for reception on all Amateur bands, the TS-990 is equipped with 5 high-IP roofing filters as standard. In addition to 500Hz and 270Hz filters, which provide the sort of narrow passband that is so important for CW (Morse code) operations, there is a 2.7kHz filter for SSB, as well as 6kHz and 15kHz filters suited for AM/FM use. These filters are selected automatically depending on the DSP’s final passband setting. Manual switching is also possible. The TS-990’s local oscillator features independent circuits optimized for different signals: VCO division type / DDS direct for the main receiver; DDS direct for the sub receiver; and conventional PLL for the transmitter. The newly developed VCO division-type approach adopted for the first local oscillator of the main receiver involves having the VCO oscillate at a frequency higher than the target frequency, and by dividing this frequency it is possible to generate a local oscillator signal with excellent C/N characteristics, almost as good as produced by a DDS direct circuit, and with low spurious emission equivalent to that of PLL. This reduces noise in the local oscillator and, thanks to the high C/N ratio, the target signal is not allowed to become buried in noise. The pure incoming signal can thus be shifted to a first IF. As a standard signal source, the TS-990 is equipped with a TCXO (temperature-compensated crystal oscillator) that has a frequency stability of ±0.1ppm. In addition to delivering high stability, it does not require a warm-up period like an OCXO (oven-controlled crystal oscillator), so it can start up rapidly as soon as power is applied. It also complies with the European Union’s Lot 6 standard for energy conservation, consuming less than 0.5W in standby mode. Input/output of a standard 10MHz signal is enabled. For its sub receiver, the TS-990 uses a more advanced version of the receiver found in the TS-590, which since it was launched has been acclaimed for its top-of-class RX performance. Of especial note is the fact that it uses front end circuitry that enables down conversion for the 5 major Amateur bands, so that despite being a “sub receiver” it has what it takes for full-fledged RX applications. *2 When IF band is below 2.7kHz for 1.8/3.5/7/14/21MHz bands (SSB/CW/FSK/PSK). The audio quality of SSB and CW reception is not determined solely by audio frequency response and filter retardance: AGC performance also plays a very important role. KENWOOD fans report that they do not get tired even after listening to their radio for long periods, and this can be put down to the renowned AGC performance of KENWOOD radios. For the TS-990, engineers have further improved the DSP’s AGC algorithms and the analog AGC, resulting in an even better “KENWOOD tone”. The TS-990 Series features adjustable-passband IF filters, simple IF filter switching (A/B/C), IF notch, band elimination, digital and analog noise blankers (NB1/NB2) to reduce pulse noise, and noise reduction (NR1/NR2). The push-pull circuit utilizes VRF150MP 50V power MOSFETs to deliver a stable output of 200W on all bands. Engineers have determined the bias and matching conditions that ensure maximum possible benefit from the characteristics of the VRF150MP, resulting in superior IMD (intermodulation distortion) performance. The DSP produces a clean modulating signal, and passing this through an amplifier with high linearity results in the renowned “KENWOOD tone”. Covering all Amateur bands from 1.8MHz to 50MHz, the built-in automatic antenna tuner is of the preset type, capable of tuning even during reception. It employs the relay approach, acclaimed for rapid operation, so the operator can quickly QSY (change operating frequency) with an instant band change. The tuner components – relays, capacitors, coils, etc. – are all rated sufficiently high to endure the 200W output. To ensure a stable output of 200W, it is essential to have good cooling. The TS-990 employs a fin-type construction to enhance the heat dissipation efficiency of the large aluminum heat sink. Moreover, independent variable-speed fans are employed for the switching power supply, the final section, and the antenna tuner, ensuring ample airflow to cool each unit. Moreover, the switching power supply and final section are both served by twin cooling fans. Heat sensors are used to control fan speed, thus contributing to quieter operation. Located on the front panel is the world’s first1 dual TFT display, enhancing both visibility and operating ease. The 3.5-inch TFT sub display is located just above the main dial, so the operator hardly needs to shift attention to check the frequency. But there is more: by displaying the demodulated signal audio spectrum, it enables monitoring of the actual target signal. The frequency function that previously switched between VFO A and VFO B is now used to switch between main and sub bands. The sub receiver RX key located above the main dial is used to switch the sub receiver on/off, while the TX key enables switching between simplex and split operations. Also, the operator can tell at a glance what the current operating mode is thanks to the LEDs. In addition to the M>S and M/S configuration found on the previous series, a 2-step split-frequency configuration has been added for quick setup. Windows 7 (32-bit/64-bit) operating systems. In addition to the mic terminal, the rear panel offers a variety of I/O options, including analog audio I/O, USB audio, and digital optical interfaces. When these are combined with data modes 1 to 3 for SSB, FM and AM, it is easy to switch between external equipment for modulation/demodulation. Also featured are Data VOX and a mute switch for each modulation line. I have owned the TS-990S for over a year, and I can truly say that the receiver is supreme, and the transmitter does everything I could ask of it. As a retired broadcast engineer, used to using the very best HF receivers for shortwave relay purposes, this rig performs better than some professional equipment costing considerably more (and they were only receivers). It does take time to learn how to get the best out of it, and the few critical reviews I've seen are mostly from those who have not owned the TS-990S for long. Frequent unsolicited praise for the transmitted audio quality is received during QSOs. The controls layout suits my way of operating. It drives my Elecraft transverter without problems. It is built to a high standard. It just does what it says on the box - and does it superbly! When you read the manual and get this set up it leaves every radio I ever had standing, the controls are easy to access and the ability to adjust your filters to the visible audio spectrum is really handy. The processor on the audio is really effective at cutting through qrm. My last radio was the ft 3000 and it was great, with the ts 990 everything is awesome. The TS 990 puts the rest in the shade. My IC 7700 is only an also ran now. Comparing side by side with the same antenna and speaker, the TS 990 is ahead on every test I can think of. The fantastic noise reduction of the 990 beats the excellent 7700 with a cleaner tone. The new facilities on the 990 are all useful and fantastic.